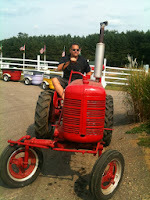 Over the past two years I’ve crossed off over twenty-five things from my Dells Bucket List, but none have come close to providing the vast amount of different activities I experienced as when I visited the Country Bumpkin Farm Market. 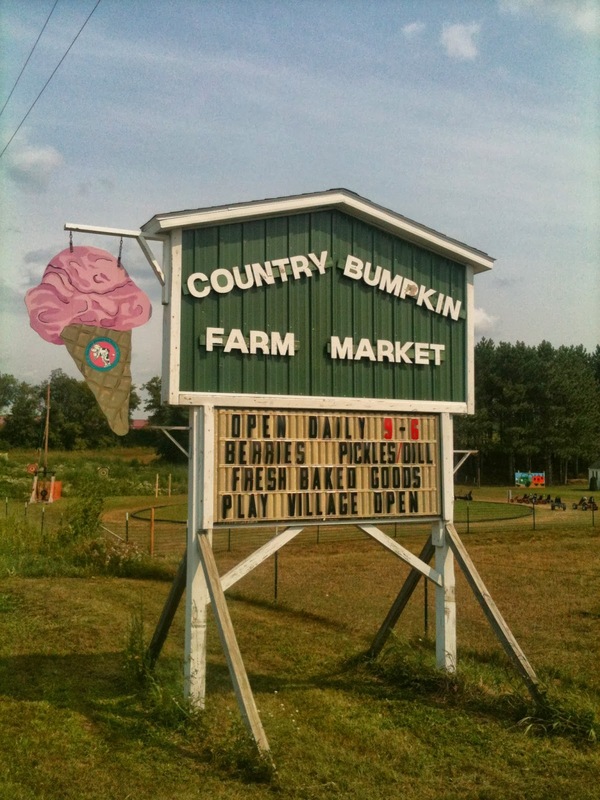 Established in 1997 by owners Charlie and Cindy Rhinehart, the Country Bumpkin Farm Market offers over fifty different varieties of homegrown berries, fruits, and vegetables, along with bakery treats, flower baskets, crafts, and unique gifts. 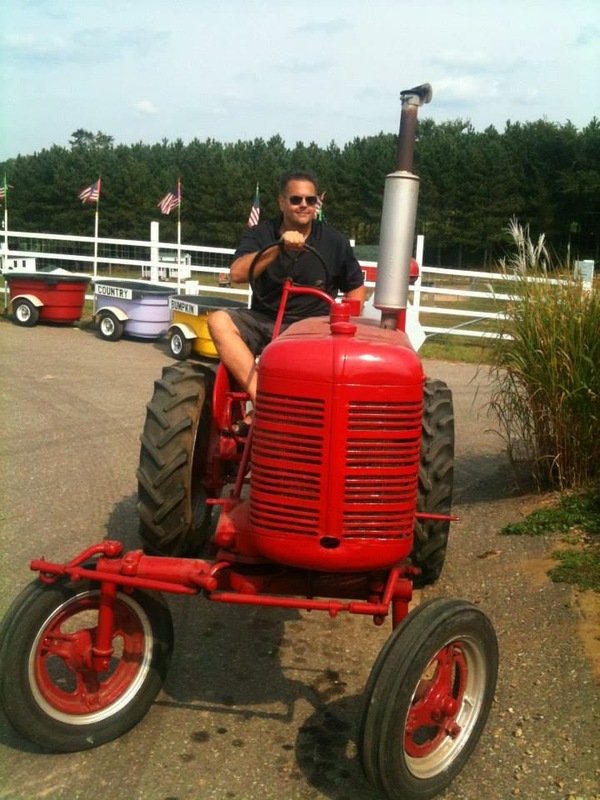 On top of all this, they have a petting zoo, a play town, corn mazes, zip lines, peddle karts, a tractor pulled train, and even a slingshot and catapult to launch fruit and vegetables through the air – all of which I got to experience during a recent visit. 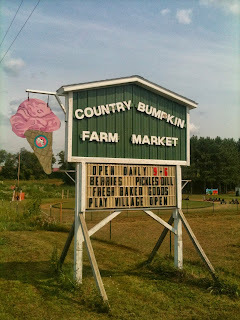 The Country Bumpkin Farm Market is one of Wisconsin Dells' hidden treasures. Located about a mile west of Walmart, they offer over fifty different homegrown berries, fruits, and vegetables, along with bakery treats, flower baskets, crafts, and other unique gifts. On top of all this, they have a petting zoo, corn mazes, zip lines, peddle karts, a play town, a tractor pulled train, and even a slingshot and catapult to launch fruit through the air. Recently, I had the chance to spend an afternoon with owners Charlie and Cindy Rhinehart, who graciously gave me a tour of their thirty acre farm attraction, as well as shared their story of bringing healthy food and activities to kids and adults alike. Over the years I’ve visited many Dells area attractions, but recently I had the opportunity to visit five of them, all in one afternoon. 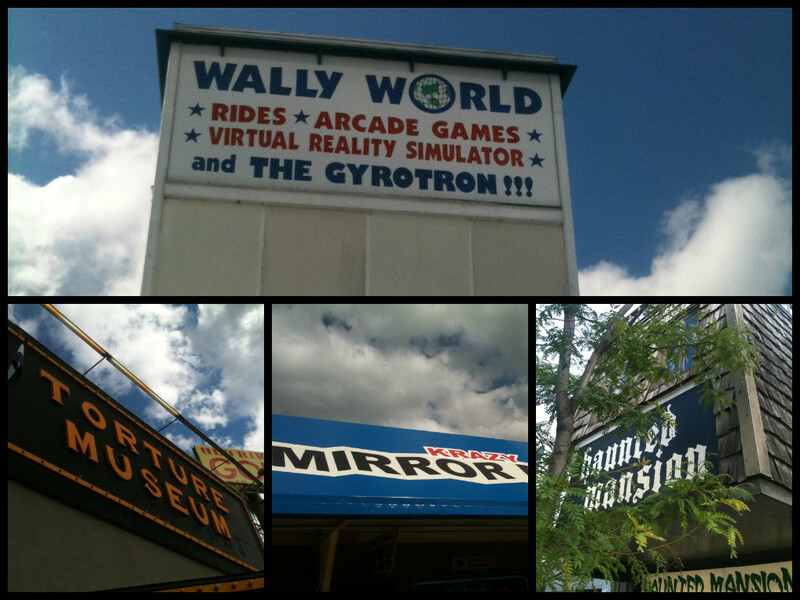 This whirlwind experience came courtesy of Wally Nekyha and his wife Terry, owners of the downtown attractions – The Haunted Mansion, Torture Museum, Shootin’ Gallery, Krazy Mirror Maze, and Wally World Arcade. 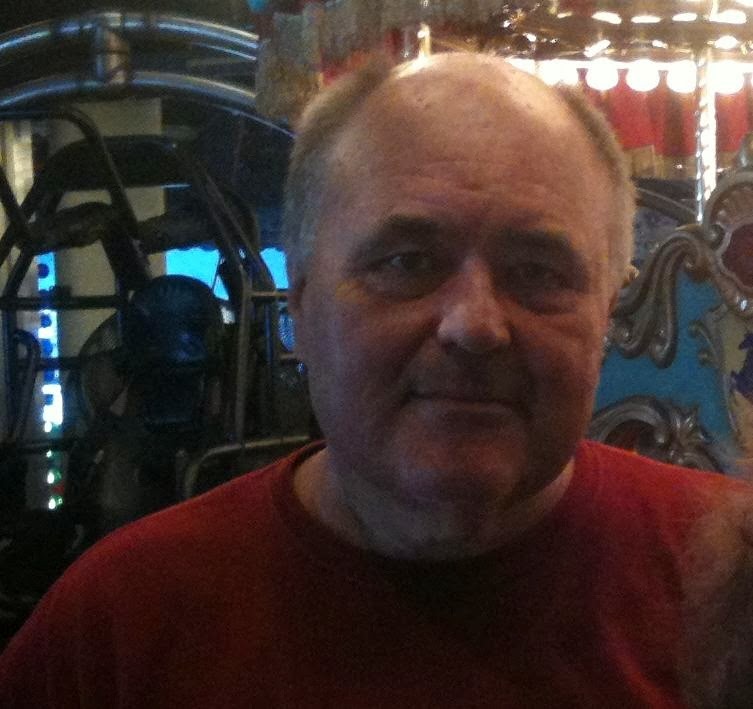 The Wisconsin Dells is home to many family attractions, and five that are located downtown – The Haunted Mansion, Torture Museum, Shootin’ Gallery, Krazy Mirror Maze, and Wally World Arcade, are all owned by Wally Nekyha and his wife Terry. 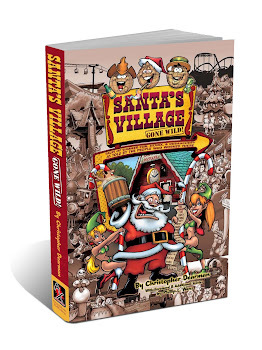 Recently, I had the opportunity to speak with Wally, as well as one of his long time employees Don Zamzow, to learn a little about each of the fun attractions. Having a needle penetrate my body between 50 and 3000 times per minute is not something I let happen to me often, but for my latest Dells Bucket List behind-the-scenes adventure, the alluring draw of getting ink permanently imbedded into my skin was just too much to resist. Point Blank Tattoo and Body Piercing studio is located on the strip in downtown Wisconsin Dells, and has been giving both tourists and locals alike beautiful custom works of art on their bodies since 1997. Recently, I got to spend time hanging out with the Point Blank artists who taught me about the tattoo process, and ended up giving me some new skin art of my own. Interview with Point Blank Tattoo and Body Piercing artists - Eddie B., Vic, & "Q"
Point Blank Tattoo and Body Piercing, located in downtown Wisconsin Dells, is a custom tattoo shop that has been giving both tourists and locals alike beautiful works of art on their bodies since 1997. Recently, I got to spend time learning about the shop, as well as the tattoo process, from manager Eddie B. and fellow artists, Vic and “Q”. Recently, I had the opportunity to get a behind-the-scenes tour of a place I’ve driven by numerous times, but never actually ventured into. While this was partly due to being someone that only goes camping once in a blue moon, the fact that it’s named after a cartoon character made me think it was strictly for families with small children. As it turns out, there’s a lot more things to do at this campground then stuff just for kids. 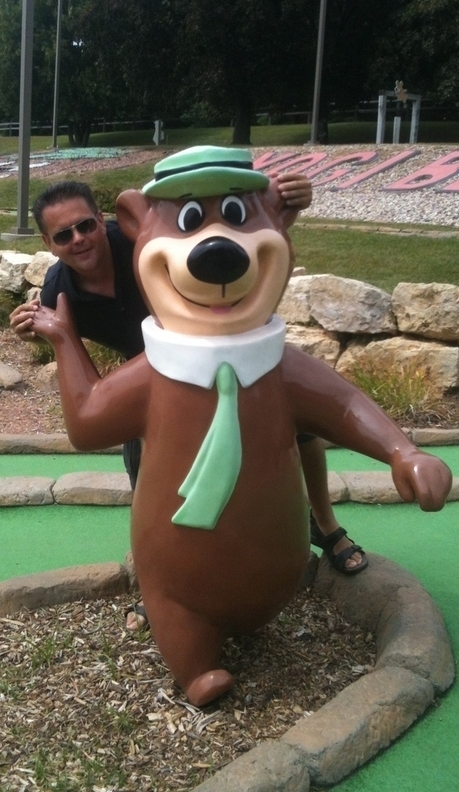 Yogi Bear’s Jellystone Park™ Camp-Resort has been a Wisconsin Dells mainstay for over forty years. Located off of Interstate 90/94 on sixty acres, there are 250 campsites, 50 rental units, and room for group camping for over 1000 people. Recently, I had the chance to spend time with owner Brent Gasser, whose family brought one of the first Jellystone Park™ campgrounds to life. Personally, nothing makes the movie experience more perfect than smelling the unmistakable, mouth-watering aroma of fresh, hot buttered popcorn. For my latest Dells Bucket List adventure, I got to relive one of my first jobs by having the opportunity to once again make the classic, movie watching snack. Big Sky Drive-In is one of only ten drive-in movie theaters in the state of Wisconsin. Located just east of downtown Wisconsin Dells, Big Sky offers double features of first run movies nightly May through September. 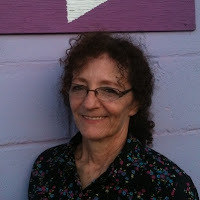 Recently, I got to spend time with owner Mary Bork, who for the past thirty-three years has helped bring the outdoor movie viewing experience to tourists, as well as area residents young and old. Watching a wedding never fails to bring a smile to my face but after having suffered through many long, drawn out wedding ceremonies throughout my lifetime, they usually aren’t something I particularly look forward to attending. This was before I went behind the scenes of the Dells Bells Wedding Chapel, where for my latest Dells Bucket List adventure I got to witness a couple’s complete wedding experience, taking less time than it did for me to recently get fitted for a tux. The Dells Bells Wedding Chapel, located in historic downtown Wisconsin Dells has been home to where over two thousand couples have professed their love by saying "I do" – making it the Midwest's #1 wedding destination. 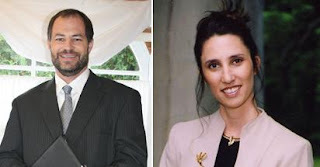 Recently I had the opportunity to talk with owners Tara and Scott Joles, who shared their story of how they met, and how their own wedding played a part in bringing this unique place to life. Eating authentic food from one of my favorite cities is usually something I only experience while on vacation. Being it’s been a couple years since my last visit, having the opportunity to enjoy delicious Cajun cuisine right here in the Dells, saving me the over one thousand mile trip south, definitely made my recent stop at the Taste of New Orleans restaurant a highly enjoyable one. Taste of New Orleans restaurant in downtown Dells has brought the taste of fine southern Louisiana cooking to both locals and visitors alike, for the past six seasons. 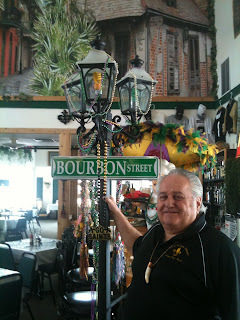 Recently, I got to spend a few hours with owner Sam Rofolo, who kindly shared with me stories of his colorful life, the history of the restaurant, as well as some of his delicious Cajun food.